Award-winning faculty will help you develop a portfolio that showcases your work to potential employers. Capture the world through a camera. You will learn how to use sophisticated cameras, editing technology and processing equipment; work with professional software, including Adobe Photoshop; create photographs in digital and traditional formats; photograph social and corporate events; and develop a portfolio. 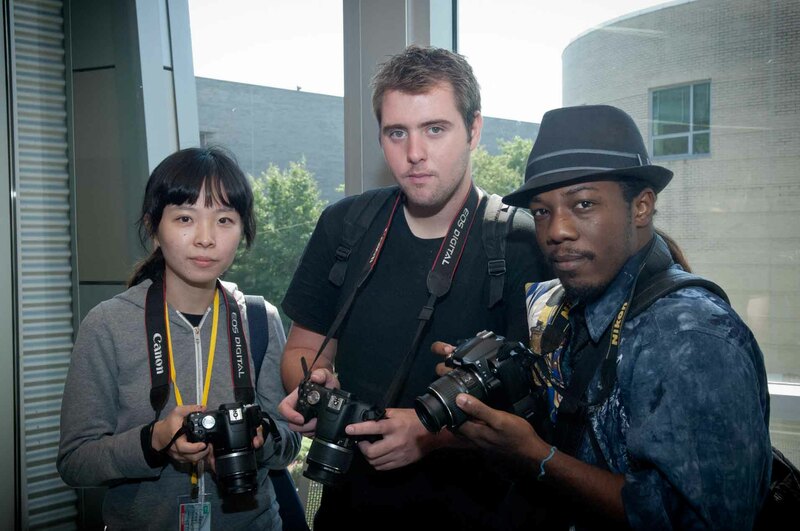 As a student in the College’s Photographic Imaging program, you will receive training on the same equipment and software used by industry professionals, have access to internship opportunities at professional photo studios and laboratories, get an introduction to developing a photography business, and gain experience working on a video crew. The following courses and sequence of courses is designed for the optimal success and completion of the Photographic Imaging degree/certificate. Any alterations should be discussed with your academic advisor. A minimum GPA requirement of 2.0 (“C” average) is required to continue in program. Students should be preparing websites, portfolios and show-reels for final evaluation. Photograph people, landscapes, merchandise, or other subjects, using digital or film cameras and equipment. May develop negatives or use computer software to produce finished images and prints. Includes scientific photographers, aerial photographers.